Springtime is (finally) upon us, this weekend was one of the warmest yet! And we can't help but have Spring Fever when it comes to planning designs and decor for our upcoming Spring celebrations! Here are a few looks we're putting together for our clients. "Pinks & Greens" - This client loves chartreuse paired with pinks and blush tones. 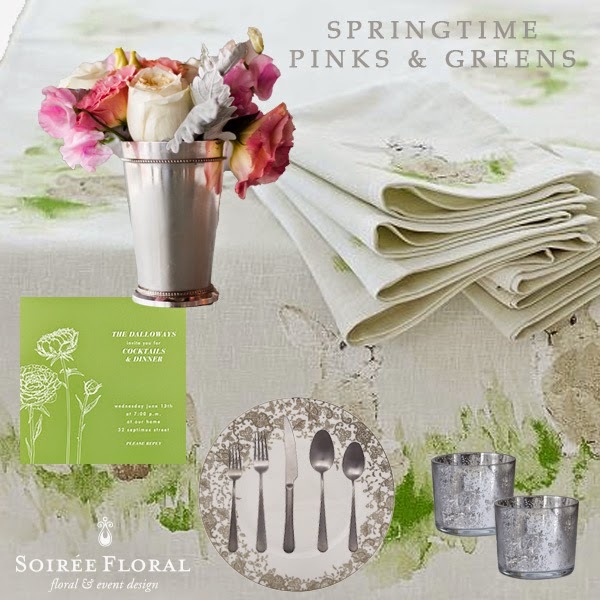 The bunnies are a fun and playful nod to Easter while keeping everything else a little more formal with the julep cups, delicate blooms and silver flecked dinnerware. This look features pieces from Pottery Barn, Lenox and Paperless Post. 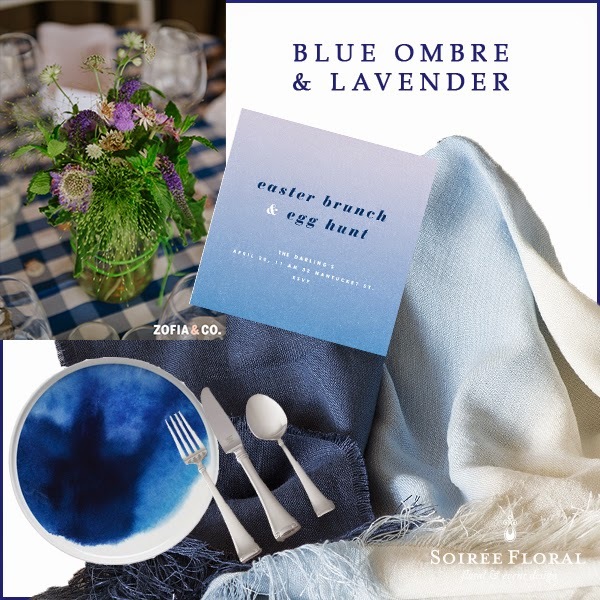 For this next look we're having a little fun with shades of blue with pops of lavender. This is great for a more casual occasion - with mason jars and a watercolor-esque palette. This look features pieces from Designers Guild, Paperless Post and Marimekko. 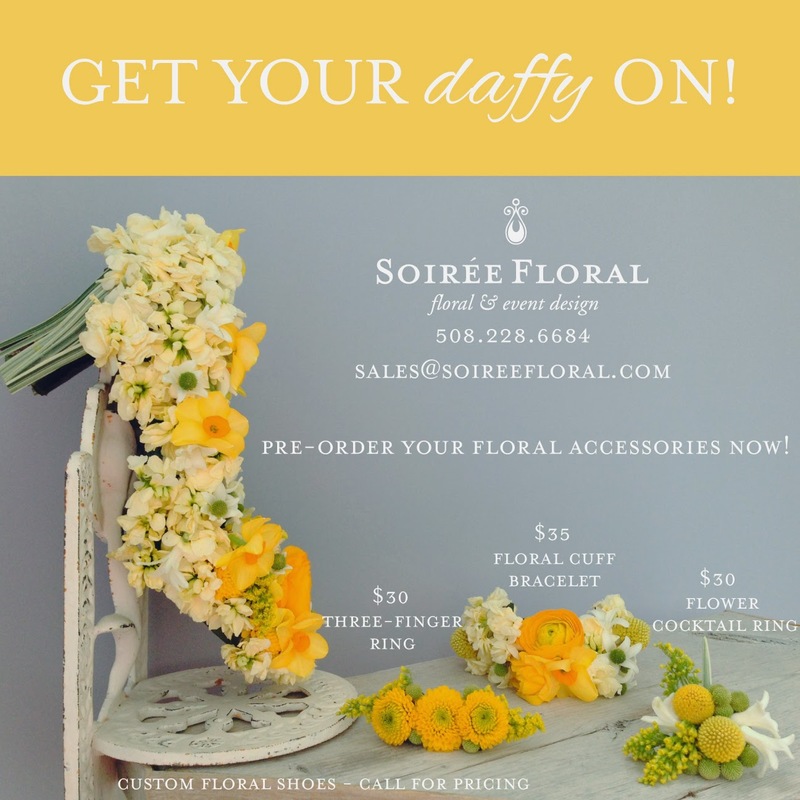 Not only are the longer days putting a little spring in our step - so is prepping for the Daffodil Festival on Nantucket! We've started our countdown to the big yellow-and-green-filled weekend, have you? And speaking of... have you placed your order yet? Head on over to Pinterest for more Springtime and Daffy Inspiration!